Short poems for kids offer wonderful opportunities to create fond memories while serving as an educational experience in the process. Whether it is meant to educate or entertain, it is almost certain to inspire a lifelong love of poetry. In many aspects poetic verse is naturally conducive to learning. Short poems for kids are ideal teaching tools because they are brief, memorable and entertaining. Poetry inspires creativity as well. Short children's poems can offer many wonderful opportunities for learning. Repetition is a fundamental element of learning and one of the most powerful tools for rote memorization. Repetition can be quite boring unless it is used creatively. Poetry is a great example of how you can use elements of repetition to reinforce memory and enhance learning. Poetry is a craft that has traveled through time. Children are motivated to read and create when they are exposed to activities that are motivating. Short children's poems are great resources that inspire a lifelong love of creativity and reading. Creating an original poem catered to the child is a lovely process that you can share. This approach is perfect for children who have experienced different types of poems, and it helps to develop an interest in the creative process. In essence, you serve as a model for creativity. Poetry can be complex, considering the different forms of verse available. Creating opportunities to explore the various forms of poems is a wonderful approach to developing a deep appreciation for the art of words in poetic verse. Rhyme is an integral part of many poems for children, and it is one of the most recognizable forms of the art. 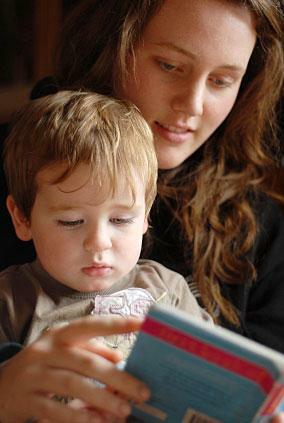 Short children's poems often have a sing-song rhythm with rhyming words at the end of each line (end rhyme). More complex forms use off rhyme, rhyming consonant or vowel sounds as in "loon" and "gown." Visual learners may appreciate shape poems, also known as concrete poetry, that literally take the form of the subject matter as in the ice cream poem. This form is a great tool for teaching imagery, focusing on creating pictures through language. A limerick is a short poem that follows a specific metrical pattern. The form is fun and popular, offering a nice way to introduce meter and rhythm. Following the pattern of the limerick's meter by clapping is a great activity for fidgety kids or for children who love music. Haiku is a beautiful Japanese form of poetry that consists of three lines. The first line contains five syllables; the second contains seven syllables, and the third line contains five. This brief poem does not necessarily rhyme and themes commonly include emotions and nature. Resources include your childhood memories, books, television shows, and the Internet. Many online resources offer quick access to an array of poetry for kids that run the gamut from overtly education to essentially entertaining. Searching for poems according to theme is a great approach to finding wonderful examples. Apples 4 the Teacher features many poems organized by subject. Themes include history, presidents, and the four seasons. Children can benefit from sharing poems listed on this site that help teach them how to tell time. Poetry4Kids offers funny children's poems as well as a great opportunity for kids to exercise their critiquing muscles. Poetry can be difficult to define, but it is everywhere. Children can develop an eye for poetic elements in everyday language with a deep appreciation for the art form. Short poems for kids are excellent places to begin.